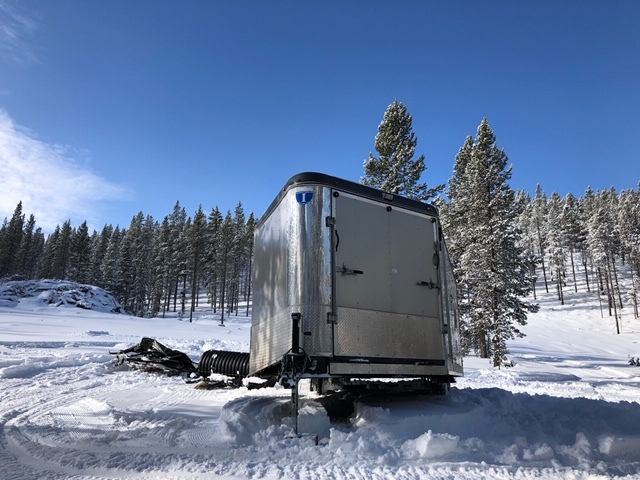 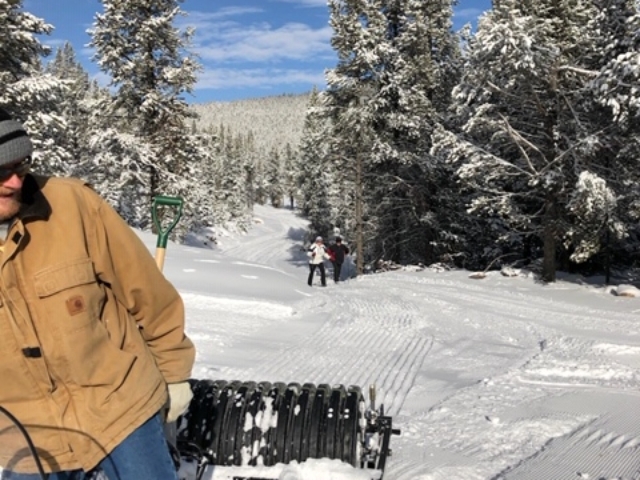 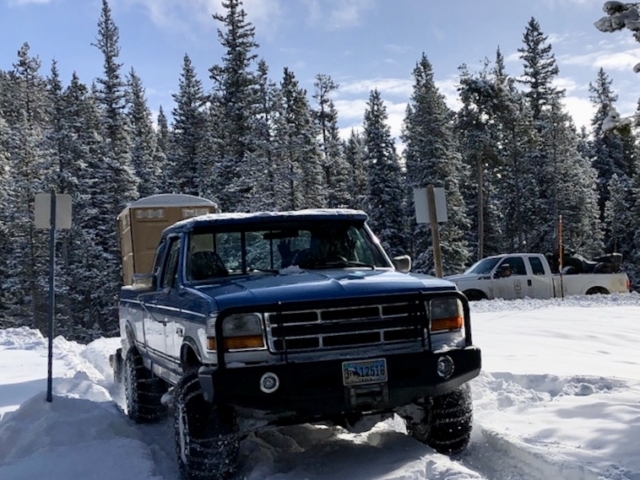 It's shaping up to be a great snow year, and volunteers from the Black Mountain Nordic Club have started grooming the Sibley Lake and Cutler Hill Nordic Ski Trails for the 2018-2019 ski season. 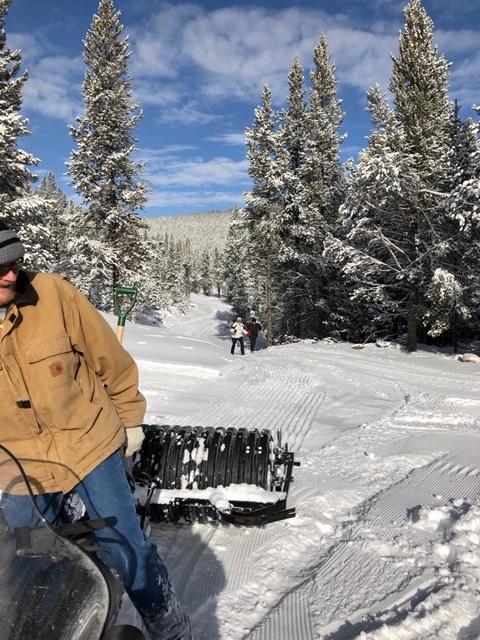 Crews have now packed and rolled most trails at the two areas above Dayton, Wyoming. 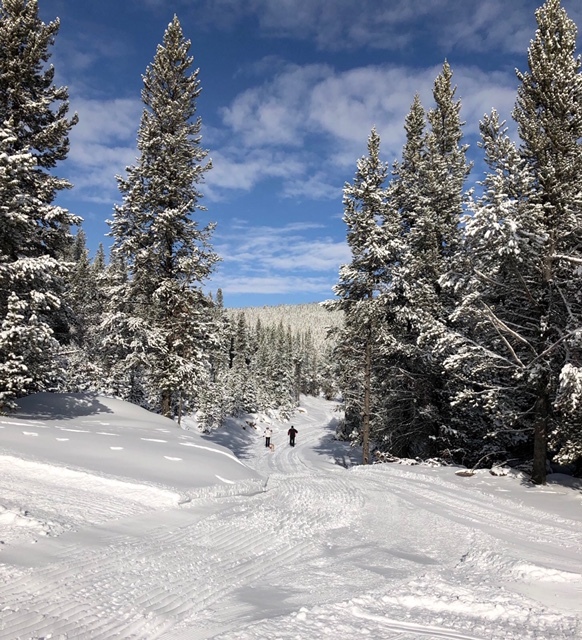 Skiers are encouraged to use caution during this early part of the season, as there may be rocks and ruts in some areas with sparse cover. 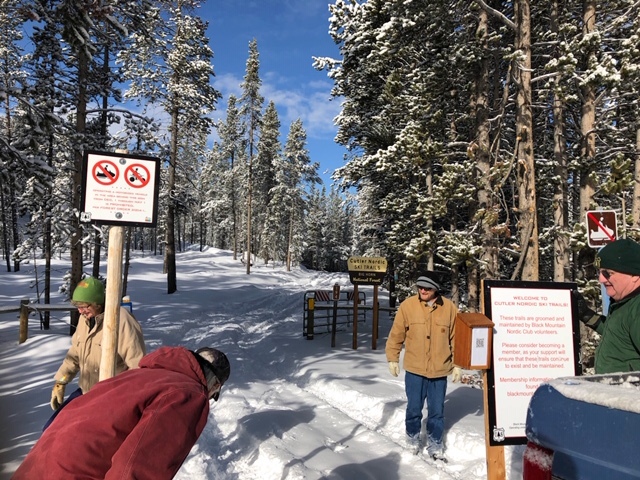 The dog-friendly Cutler area has been expanded this year to include over two miles of new trail. 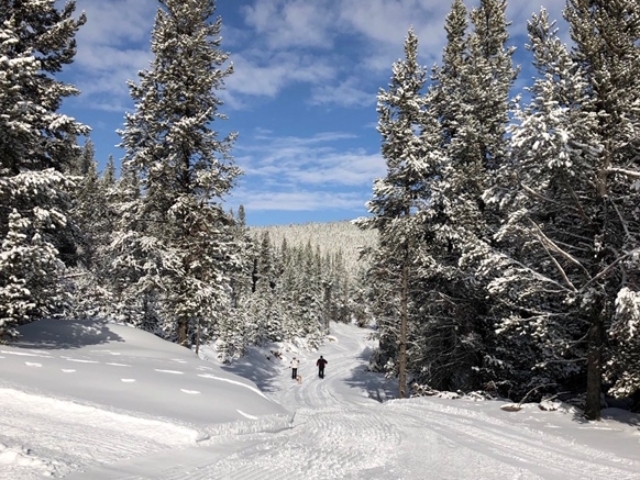 Fido's Fairway has been extended to incorporate a striking overlook area at the western edge of the ski area, and two new trails, Yogi's Run and Toko's Tail Wag, provide access to sweeping vistas of our club's namesake Black Mountain. 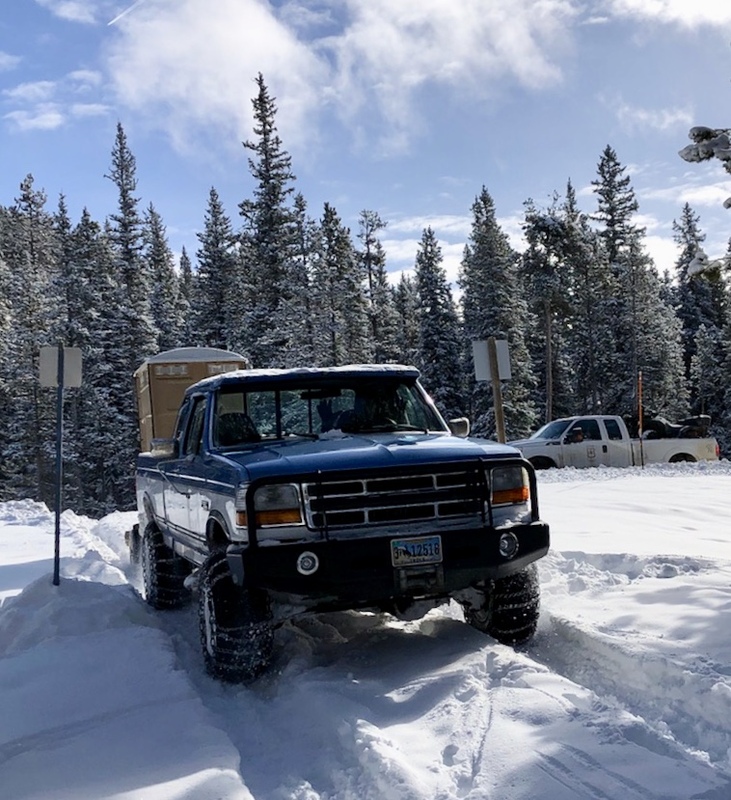 If you have not yet renewed your club membership this year, or if you've yet to join, please consider joining the club and supporting the maintenance of these outstanding trails.